We are in the thick of flu season, which means fever, chills, muscle aches and fatigue. In short – pure misery. But oftentimes people forget how serious, or even lethal, the flu can be. We can see in the news that this flu season has been especially severe, but what makes this year different? The CDC states that the 2017-2018 flu season is the worst in a decade, on course to surpass the 2014-2015 flu season when 710,000 were hospitalized and over 56,000 people died. In the third week of January 2018, nearly 10% of all fatalities were due to the flu. There were 4,064 fatalities from influenza or pneumonia (a secondary respiratory complication of the flu) alone, and flu season is not over yet. So why is this year’s flu epidemic so harsh? And why doesn’t the vaccine seem to be working? This year’s predominate strain, the H3N2 influenza virus, is a fast mutating and virulent flu strain, which means that it is almost impossible for the CDC/WHO to predict how it will shift. If public health officials cannot predict (based on laboratory and clinical studies) how the virus will change, they cannot create a vaccine that will adequately immunize the body with the proper antibodies that will “match” the virus after exposure, using the older egg technology for vaccine production. Historically, according to the CDC, the vaccine’s effectiveness against the H3N2 influenza is typically low, around 33%, but the effectiveness appears to be even lower this year. Vaccine effectiveness (VE) for other influenza strains, such as H1N1, is usually higher at approximately 67%. However, a 2018 Canadian study conducted by Skowronski et al showed that this year’s vaccine (2017/18 trivalent influenza vaccine) has only shown 10% effectiveness against the H3N2 influenza strain in adults in Canada. In the United States, the CDC reports that this year, VE is around 25% for the current H3N2 strain. In more typical years the CDC estimates that the flu vaccine can be expected to lower the risk of contracting the flu by 40% to 60%, compared to those who have not received the flu shot. Why do we do so poorly on VE with H3N2 viruses? While there are many factors that contribute to a harsher flu season, arguably the strangest culprit may be the egg. Over 70 years ago, researchers discovered that the flu virus grows quickly in hens’ eggs. The candidate vaccine virus is injected into the fertilized egg where it incubates for a few days to allow the virus to replicate. The virus containing fluid is then harvested and, for the flu shot, the vaccine viruses are inactivated (killed) and then the virus antigen is purified. 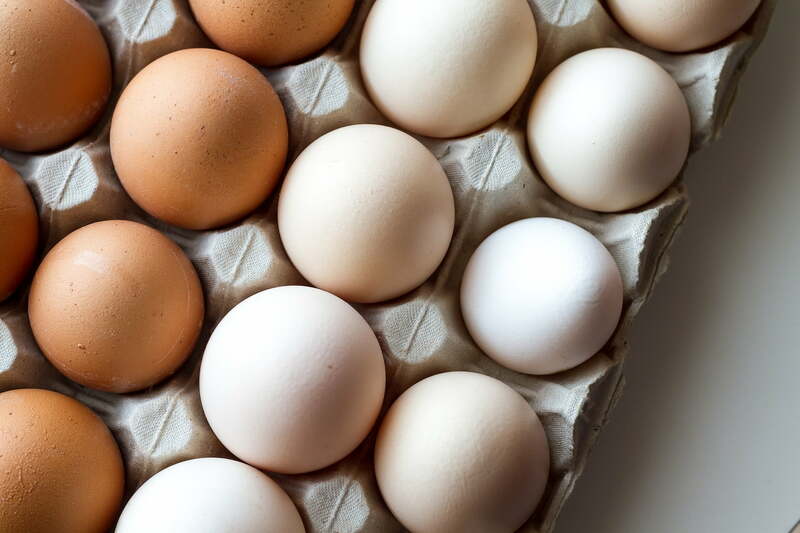 According to Dr. Anthony Fauci, the head of the NIH’s infections diseases division, “It’s an antiquated process, but it’s time-honored.” The use of the chicken egg is cheap and efficient, but some hypothesize that egg-based growth contributes to low-effectiveness. The problem is, however, H3N2 does not grow well in eggs. This is not the first time that a specific antigen has been lost because of egg-based growth. A recent study done by Zost et al. postulated that T160K, an egg-adapted mutation, may be correlated with low-vaccine effectiveness (VE) during the 2016-2017 flu season. The vaccines lost a glycosylation site that occurred during egg adaption that decreased VE. Other, albeit more expensive, methods, such as injecting the virus into cultured mammal cells after initial growth in egg cells, do exist. Manufacturers can also create recombinant flu vaccines, which utilize insect cells to grow the vaccine. This is the only egg-free method of production on the market and is also the fastest. While the most widespread method is egg-based, because of the genetic mutations that may occur, some manufacturers are slowly moving more towards cell-based vaccine manufacturing. If eggs are correlated with mutations and can lead to decreased effectiveness, why don’t public health officials recommend use of recombinant manufacturing methods? A recombinant vaccine is a vaccine produced through recombinant DNA technology. This involves inserting the DNA encoding an antigen (such as a bacterial surface protein) that stimulates an immune response into bacterial or mammalian cells, expressing the antigen in these cells and then purifying it from them. Currently the only FDA-approved recombinant flu vaccine is Flubok. This specific vaccine is typically used for people over 18 years old, who are allergic to eggs, and cannot receive the regular flu vaccine. Although there is evidence it is more effective than egg based vaccines against H3N2, it is not commonly given because it is more expensive. For example, a manufacturing plant can make egg-based vaccines for as low as $12-26 a dose, while Flublok costs about $32. This 2017/2018 flu season highlights the interaction of business and medicine. Should the cost of care overshadow the potential to save thousands of people? If there is a potential to reduce loss of life for an extra $6-20 per vaccine, why are manufacturers not increasing production for the populations most vulnerable to H3N2? In this flu season, did “cheap” come before “quality,” or is the system not geared towards adapting when H3N2 viruses predominate? Yes, still get the flu shot. For more information about the flu, flu epidemiology and vaccine effectiveness, contact the experts at Cogency at solutions@cogencyteam.com.